Accessories junkies, take note: if funky jewelry and intricately woven bags and belts make you weak at the knees, then head on down to Mounaya Gallery, one of Cairo’s best known secrets when it comes to classy accessories of superior quality. Be warned: it’s virtually impossible to leave the store without spending a hefty amount of money on shiny, pretty things. Located in a quiet Zamalek corner facing the Nile, the gallery is well-stocked with wall-to-wall cabinets displaying delicate gold-plated necklaces, beaded jewelry and silver charm bracelets. The display tables cleverly use rice as a surface to display gold-and-peal earrings, chunky silver bangles and large stone rings. One of the standout items is the puzzle ring (starting at 150LE), a set of gold-plated rings with a small coloured stone that can be stacked on top of each other. Another popular staple is Sarah’s Bags, a Lebanese label known for its clutches with Warhol-inspired prints of Om Kolthoum, Faten Hamama and other Arab pop icons, starting at 800LE. Mounaya Gallery also stocks scarves and bags by Horreya Designs, the fashion label launched by Heba and Hana Elawadi, as well as Hana Elawadi’s collection of string bracelets carrying silver peace and love signs starting at 250LE. Accessories aside, the showroom has a clothes corner, with beaded abayas, scarves and a few items from up-and-coming designer Amina K’s popular ethnic collection. Amina K restructures ethnic Egyptian clothing such as abayas and gallabeyas, infusing them with the traditional Kheyameya print, a print design normally used to decorate the interiors of Egyptian tents. The gallery also stocks mashrabeya-inspired candles, fabric purses, door stoppers, wall-prints and tableware imported from around the region. It also sells Malaika products, a local brand of hand-embroidered bed linens made from Egyptian cotton in subtle, elegant designs. Founded in 2006, the store refers to itself as an “art and accessories gallery”, although it’s more about the accessories and less about the art- we only found one wall carrying three large prints. Mounaya Gallery has consistently kept its finger on the pulse of trends over the past few years and has supplied fashionable, classy jewelry that feels unique instead of mass-produced. The store should also get credit for the massive success of Sarah’s Bags, considering it’s the only supplier of the brand in Egypt, at least as far as we know. A little known fact is that the store does its part for the Egyptian community by donating a portion of its profits to low-income families and selling products made by underprivileged women to help them earn a living. 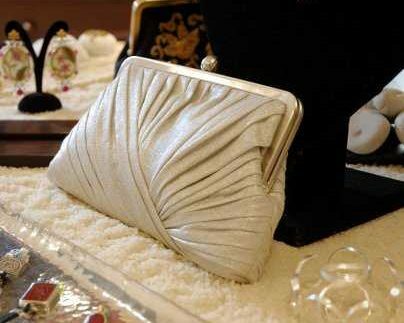 Prices start at 200LE for bracelets, 300LE for rings and 800LE for bags. This store is the perfect destination for gifts for any female that enjoys pretty home accessories and jewelry. Some gold-plated necklaces and bracelets are too expensive, considering they’re gold-plated.